The Tomorrow Awards prides itself in not only celebrating excellence but also expanding the knowledge of the advertising industry. To further this mission, we are organising the first ever Tomorrow Awards Conference and Ceremony. This half-day event will include a series of discussions and seminars about the future of the advertising industry and will feature internationally renowned creative leaders.The Summer 2011 Session winners will also be unveiled at the event, which will not just reward them for their efforts, but also detail exactly why each winner was selected, further educating the industry about what's to come. Marketing magazine, in August 2008, named Lavoie one of the 10 most influential pioneers in Canadian marketing over the past century. In 2006, he was listed by Creativity magazine among the 50 most influential creative minds of the last 20 years. That year, he also became the youngest inductee of the Canadian Marketing Hall of Legends. In 2007, Paul received the Spiess award for lifetime achievement by the Canadian Bessies Awards. Paul is the President of The Art Directors Club Advisory Board, a member of the Marketing Advisory Committee of the MoMA, and a board member of the Virginia Commonwealth University Brandcenter. 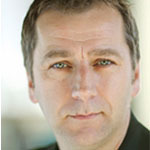 Carl Johnson is the former COO of TBWA\Worldwide and CEO of its New York office - TBWA\Chiat\Day. Whilst there he more than doubled the agency's size but more importantly introduced the practice of "Connections Planning," arguably the first new industry discipline since the advent of planning. As significantly, Carl created an innovative climate that attracted talented professionals and inspired and facilitated their ability to flourish. Prior to coming to the US Carl founded Simons Palmer Clemmow Johnson in the UK, one of the most awarded and respected agencies of the 90's, with clients including Nike, Sony PlayStation, Virgin, British Telecom, and News Corporation. His success as the company's CEO led to him being named one of the UK's top young business executives in Business Age Magazines' "40 under 40" issue. He is now also The Chairman of Effie Worldwide helping to drive effectiveness in marketing communications across the industry. 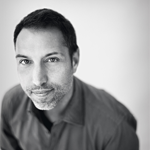 Nick Bailey is widely recognised as a creative innovator. He leads the creative department of AKQA’s Amsterdam office with a client list that includes; Nike, Diageo and Heineken. 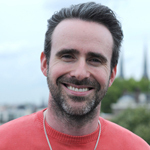 Nick joined AKQA in 2004 as Lead Copywriter on the Nike Account, where he created some of the brand’s highest-profile and most awarded work including Supersonic, Nike Live and Nike PHOTOiD. Prior to AKQA Bailey worked at Oyster (now LBi) on Mercedez Benz, Abbey, BT and Vodafone. Jean-François Bouchard originally trained as a lawyer before co-founding Sid Lee at just 25 years old, where he quickly developed an impressive set of communication skills. At the helm of Sid Lee’s operations for the past 15 years, Jean-François continues to demonstrate a flair for bringing together talented people, and motivating them to work cohesively to fulfill his vision of progressive marketing. An entrepreneur at heart and an experienced strategist, Jean-François believes creativity is the catalyst to developing strong, successful companies and brands. Sid Lee’s multi-talented co-founder is also a photographer, and his work has featured in galleries throughout Canada. Notably, in 2007, Jean-François was chosen as one of the top 40 under 40 in Canada. Haley is an actress/writer/improviser and has been seen in TV shows like: Mad Men, Weeds, 24, Mind of Mencia, in movies like National Lampoon's Ratko: The Dictator's Son, and in Michael Eisner's hit webseries Prom Queen. Haley is currently working with Boom Chicago in Amsterdam. Please stay and join us for cocktails and the after-party! International guests, please email [email protected] to find out about special arrangements for accomodations. Tickets include access to the Tomorrow Awards Conference, Awards, and networking event, and cocktails that will be held after the conference.